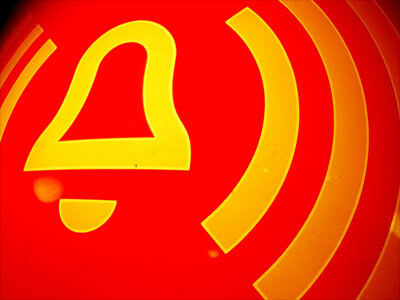 Online scams are a huge problem, and it seems like they won’t be going away anytime soon. I recently had a client who almost got scammed and wasn’t even aware of it until I explained what happened. Laura contacted me about buying one of my refurbished laptops. Her laptop had been running really badly recently so she was considering getting a new one. I answered some questions (we were communicating via Facebook chat) and eventually we were talking about her current laptop and the possibility of getting it repaired rather than replacing it. I explained to her that diagnosis was free, so it really would make sense to at least explore that option rather than just giving up on it and buying a new one. So a couple of days later she brought it to me. Whenever someone brings me a computer for repair, I try to ask a lot of questions and get as much information as possible. Sometimes just one question, one little bit of info, can make a huge difference in the outcome of a project. That was very true in this case. So she brought me the laptop, and the first thing I noticed was that it looked fairly new. Of course, outward appearance is not always an indicator of what kind of condition a computer is in, but it’s often a pretty good sign. Also, I could tell from my communications with Laura that she is someone who is very attentive to detail – the type of person who is careful, organized, and would take good care of her things. As part of our conversation, it came up that she had purchased the laptop new about a year ago. That naturally lead to my question, “Is it still under warranty?” Typically the manufacturer’s warranty is one year from the date of purchase. 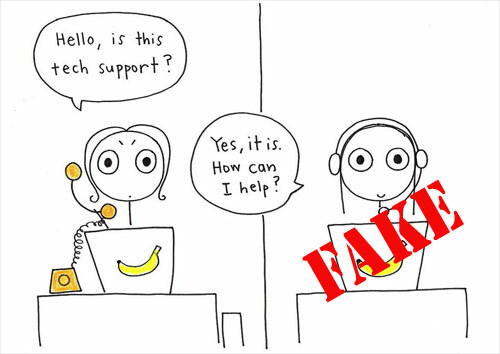 From experience, I know that when someone looks up a “tech support” number online, the number they find is most likely NOT going to be a phone number for the actual computer manufacturer’s tech support department. Of course, when they call that number, the answer will be something like “HP Tech Support” or “Microsoft Tech Support” or something similar, so there would be no reason to suspect anything. But on the other end of that line is a scammer ready to steal your money. I asked Laura for more details about what the “HP” representative told her. She explained that he was sorry to inform her that the warranty had expired, but that she could purchase an extended warranty. Laura didn’t recall how much the new “warranty” would cost, but typically these things sell for $200 – $300. Fortunately, she did not purchase from the scammer, but contacted me instead to talk about getting a new computer. I explained to Laura that she was most likely NOT talking to an actual HP representative. She was pretty surprised to find out that she had probably been talking to a scammer. These criminals are really getting pretty good at fooling people into thinking they’re legitimate, and in many cases they are successful. Just not this time. At this point I couldn’t be 100% certain until I did some more research. So I told her I would check into it, as well as diagnose the laptop’s problems, and get back to her. Back up her important data. The computer was not working properly, and there was critical data on it, and she had no backup. So the first priority in any case like this is to make sure whatever data is still accessible gets saved to a separate drive. I was able to save all of her important stuff. Check the hard drive health. My diagnostic testing came back with the result that the hard drive was failing. This is also known as a hard drive crash. This would explain all of the problems the computer was having when Laura was trying to use it. Check on the warranty situation with HP (the REAL company this time). Turns out Laura’s laptop was actually still under warranty. And how much time was left on the warranty? TWO DAYS. No time to waste. I contacted Laura immediately (this was still the same day she dropped it off) and told her what I had found out. She came back right away and picked up the laptop as well as the portable drive that was now safely storing her Documents, Pictures, etc. I heard from her later that day. She had called the actual HP phone number (which I gave to her) and they confirmed that the laptop was under warranty. They will be sending her a shipping box to pack up her laptop for shipment to HP, for them to repair at no cost to Laura whatsoever. What I expect they will do is replace the hard drive with a new one and send it back to her with a fresh installation of Windows 10 (same as it was when she first got it). First: Don’t Google for tech support phone numbers. The scammers know that many thousands of people, every day, are searching on Google for a tech support phone number. So they create websites to match those searches. Those websites can have very convincing content, even including the actual logos of the large computer companies, to make you think you are genuinely talking with someone from that company. Don’t fall for it. Second: When hiring a tech, make sure it’s someone you can trust. I hate to say it, but there are some techs that run their business without integrity. In a case like this, the client is usually expecting to pay a few hundred dollars for the data backup and hard drive replacement, so the less-than-honest techs will just do the repair and get paid for it. Especially when the client already “knows” the warranty has expired. Find a tech who you know will do the right thing. Third: Back up your important files. I say this repeatedly and without apology. Laura’s hard drive was failing gradually, which allowed us to grab the data before it completely died. Some hard drives don’t give you that luxury – they just crash without warning. Setting up a mostly automated backup is not expensive, and I can do it for you remotely. If you have stuff on your computer that you would not want to lose, get this done. No excuses!